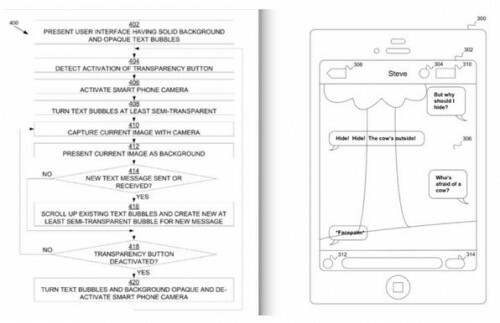 This effect would create the illusion that the device has a transparent display, allowing users to see what lies in front of them while they are texting. The goal of the invention is to make it safer for iPhone (and other mobile device) users to text and perform other functions while walking. The patent application was first filed in 2012. Stephen T. Payne is listed as the author of the Apple’s new invention.